Each mid-August, classic car enthusiasts gather in Monterey, Pebble Beach, and Carmel for a series of automobile events including the most prestigious Concours d’Elegance. The annual classic, sports, and collectors car extravaganza on the Monterey Peninsula in California in mid-August has many names but Monterey Classic Car Week sums it up perfectly, even if the name is not official. The week includes a range of events – all organized individually – including the Pebble Beach Concours d’Elegance, historic car races, gatherings of German and Italian automobiles, and several major collector cars auctions. The Pebble Beach (Gooding & Co), Monterey (RM Sotheby’s) and Quail Lodge (Bonhams) sales usually see the highest prices paid for classic cars each year. The series of events forming the Monterey Classic Car Week are all arranged individually. There is no official program and perhaps surprisingly, no single source of information for all events. Various event organizers often seem oblivious of the existence of other nearby events. The scheduling of events thus jumps around a bit from year to year as organizers try to avoid clashes with events that will attract the same crowds. The See Monterey tourist information website has a decent listing of many of the events, as does Monterey Car Week. The Pebble Beach Concourse d’Elegance – generally considered the most prestigious of its kind in the world – is held on the third Sunday of August at the famous Pebble Beach golf course. Around 200 cars take part in this top event in the Pebble Beach Automotive Week. Tickets for the presentation on Sunday at the Pebble Beach golf course are pricey (around $300) and sell out fast. Enthusiasts can often see the cars for free during the Pebble Beach Tour d’Elegance when some of the entrants go on an organized 60-mile drive and park the cars in Carmel during the lunch stop. The Quail, A Motorsports Gathering , is one of the most prestigious events during the classic car week and held at the Quail Lodge and Golf Club in Carmel. Tickets (around $450) are limited to 3,000 and are partly sold via a lottery system. Around 200 classic and modern racing and super cars are on display while modern luxury and sport cars are available for test drives. The Rolex Monterey Motorsports Reunion is one of the cornerstones of the classic car week. More than 500 historic racing cars (pre-1940 to around 1980) take part in races over three days at the Mazda Raceway at Laguna Seca. Tickets start at $50. The Concorse Italiano welcomes any car of Italian origin. Around a thousand Italian cars are on show at the Black Horse Golf Course in Monterey. Admission is around $100. A fun event, with absolutely free admission, is the Concours d’LeMons for the ugliest cars and “worst in show”. Several classic car auctions are scheduled each year during the Monterey Classic Car Week. The most prestigious charges admission to see the cars and the auctions but visitors can often see the cars before, during, and after the auction in the relevant hotel parking lots. 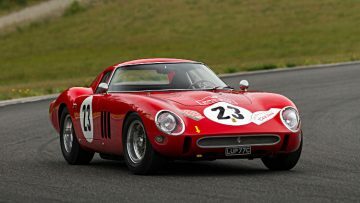 Admission to some auctions is free and many include beautiful cars even if they are not in the million dollar leagues. The auctions during Monterey Classic Car Week commonly see the highest prices of the year. Of the top 10 prices paid worldwide at public auctions in 2011, 2012, 2013, and 2014 around two-thirds were achieved here. The top results are most likely to come from Gooding, Bonhams, or RM Sotheby’s. 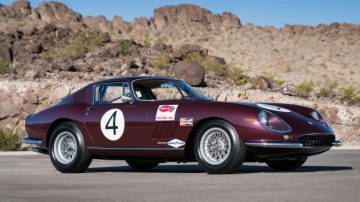 Auction Record: The auction record for the Monterey week is $38 million achieved by Bonhams at the 2014 Quail Lodge auction for a 1962 Ferrari 250 GTO – the most-expensive car ever sold at public auction. 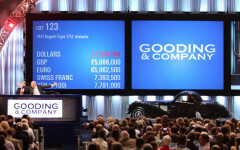 The Pebble Beach Auction of Gooding & Co is the official partner of the similarly named Concours d’Elegance. The auction is held on Saturday and Sunday evenings – admission is around $40. In 2016, Gooding set a new company record earning $129,8 million in sales during the two-day event. In 2015, Gooding earned $128 million, in 2014, Gooding grossed $106 million and in 2013 $113.7 million. The Monterey sale of RM Sothebys is held in the Portola Hotel & Spa and Monterey Conference Center on Friday and Saturday evening. In 2013, RM Auctions grossed $125 million from 125 lots on offer with 26 cars selling for over a million dollars each. In 2014, RM Auctions raised the total to a new single-auction record of $143 million, including $88 million in a single day when they auctioneer earned over $20 million per auction hour. In 2015, RM Sotheby’s added a special third auction day for the fabulous cars of The Pinnacle Portfolio and earned a new record $172,7 million. In 2016, RM Sotheby’s grossed $118 million from just over 100 cars and set new marque records: a 1955 Jaguar D-Type, 1939 Alfa Romeo 8C 2900 B Lungo Spider and a 1962 Shelby 260 Cobra CSX2000 – the most-expensive American car ever. The Quail Lodge sale of Bonhams is held on Friday evening in conjunction with but less exclusive than The Quail, A Motorsports Gathering. 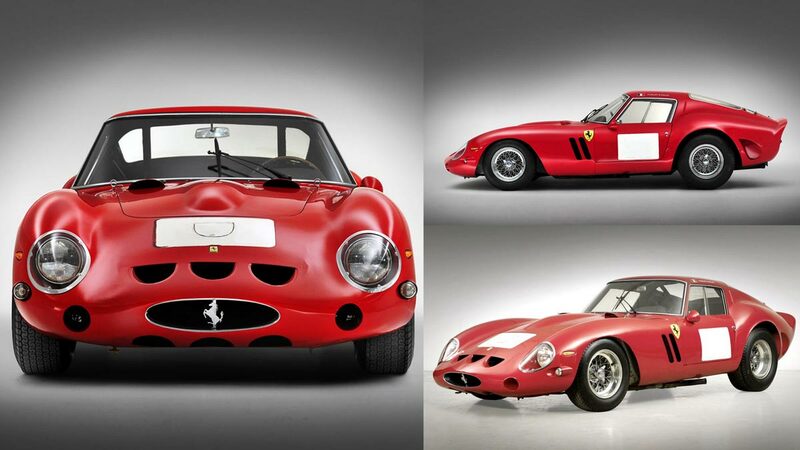 In 2013, Bonhams achieved more than a million dollars on 10 cars and an auction total of $33 million. In 2014, Bonhams sold the most expensive car ever at public auction and grossed $108 million over two sessions. 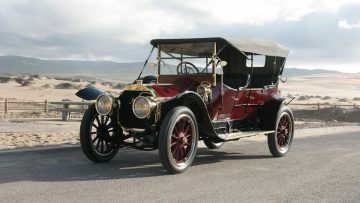 Several other collector car auctions are also held each year by major auction houses including Mecum (Hyatt Regency Monterey), where admission to its day-time sales is still free.